Different tones chime with a spectrum of colors on our Rainbow Xylophone. 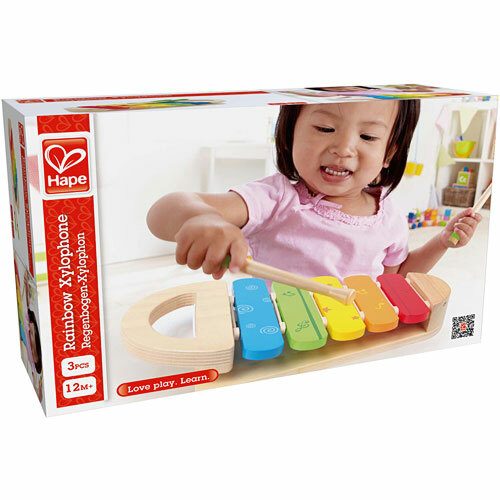 Little ones can begin developing a musical ear whether they go wild or practice a scale with the five bars. 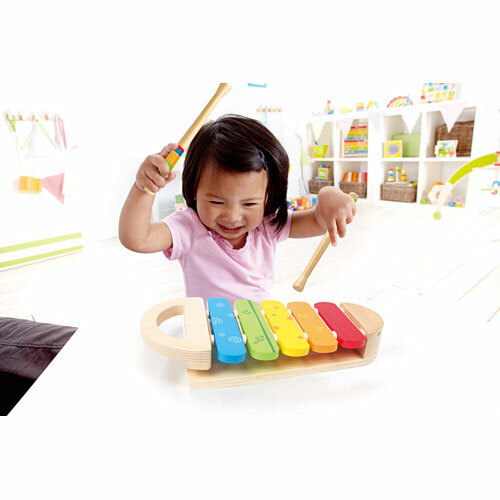 The xylophone is also built with the touring musician in mind. 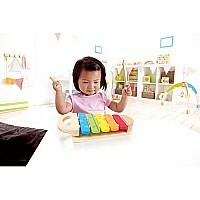 The xylophone has a handle so your little one can easily pick it up and go impress on tour around the house. 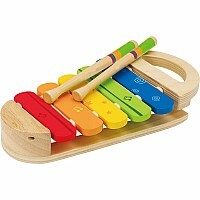 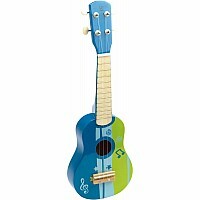 The instrument is made from durable birch plywood and solid maple and is finished with child-safe, water-based paint. 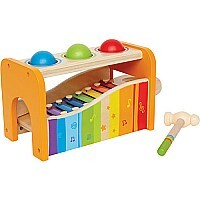 For ages 12 months and up. 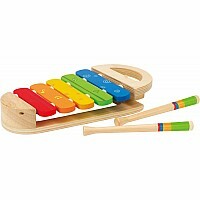 - The Rainbow Xylophone consists of three pieces: the xylophone and two mallets. 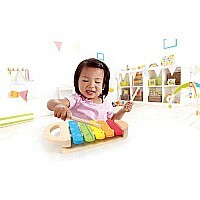 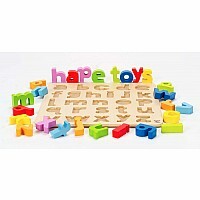 - This product is constructed from Birch plywood and solid Maple wood. 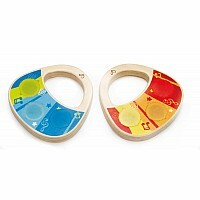 Colors are screen-printed directly on the wood. 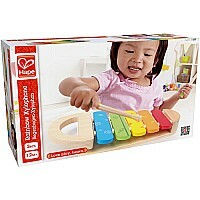 Finished with child-safe, water-based paint. 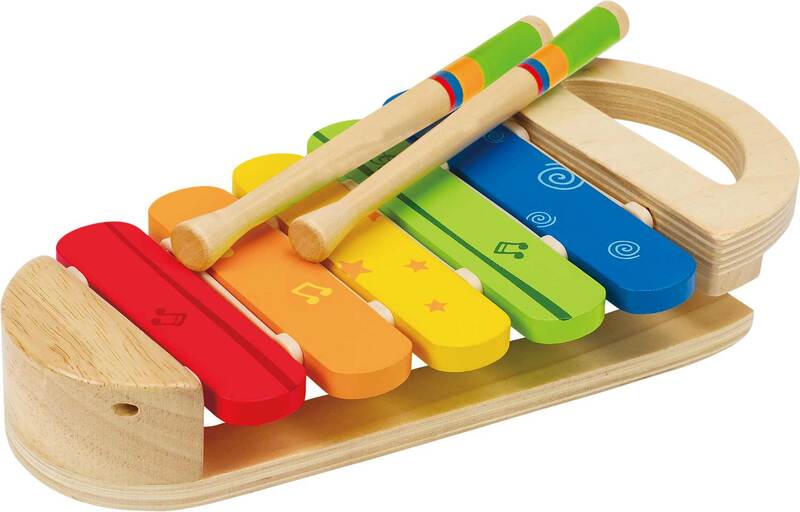 Measures approximately: 10.64 x 5.12 x 1.69 inches..